Yes, I am still obsessed with penny loafers, so it's time for me to share another roundup of them with you. 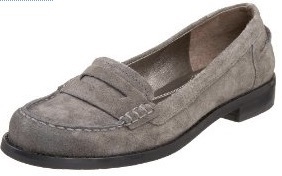 I like these Franco Sarto Ivy loafers too, but I'm not sold on the suede, and all the non-suede options are fake croc. I really, really hate fake croc (and real croc, for that matter). I haven't had a chance to try these on (unlike the Brookfields) so I think the vamp may be too high. They're on the expensive side (~$100) but are on sale everywhere right now in random colors (including the dreaded croc) and a bright shiny orange. 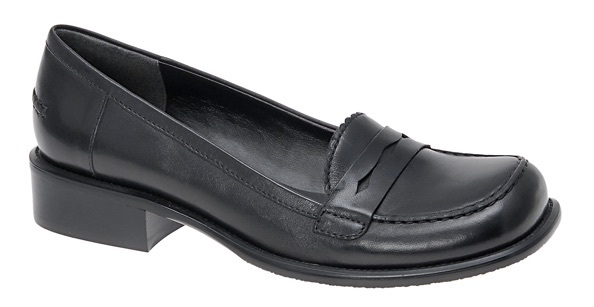 These Aldo loafers are a little too 1990s for my taste, but maybe the 90s are coming back, now that we've nearly exhausted the 1980s revival? If you're out and about and see any other penny loafers, please drop me a link! You have seen these, right?http://www.etsy.com/shop/darlingtonia?section_id=6549988If only they were less expensive! Ive always wondered why they are called penny loafers…you mean people actually used to slot pennies into the slit on the front band?Why?Im intrigued. Talbots new catalog came out, complete with short sleeved sweater cardigans. Penny loafers usually have a copper penny in the front. I used to put wheat pennies in there instead. One time I put aluminum pennies in. That last pair of loafers are very similar to a pair I had in about 1968. (I remember, because I loved them.) Classic never really goes out of style. I love loafers, too! I wore cordovan tasseled Weejuns in high school and for some reason my penny loafer of choice was a black Dexter. (I think they were cheaper.) I went to a fairly preppy school where the uniforms were repulsive, but I would break dress code in an effort to give my outfit a Facts Of Life vibe. The loafers conveniently seemed to fit that image and didnt break the code. My mens neckties, however, we not appreciated in the least. By my senior year, I liked to buy mens wingtips and loafers from the 60s. They lasted longer and looked more like the sort of shoe that Blair would never be caught dead wearing. I should have mentioned my own experience with Weejun-love.I convinced my mother to buy me a pair of Bass Weejuns at the Nordstrom Place Two in 1981 – they cost $31.90 and my mother was not interested because of the high price) but I wheedled and begged (not like me, so she caved) and I wore those puppies for over 10 years.They were hell to break in, but after that? They went everywhere, to Seattle, Boston, LA, anywhere I was.My feet went from 8M to 9M eventually and I kept my poor shoes in the wrong box and they got mold, so I had to throw them away.Lesson learned: Do NOT store anything leather in PLASTIC!Dont ask why I remember the price, I cant even remember my cell number.Erin, you prefer low-rise, I prefer high and NOBODY is doing that now, so Im just miserable. There is a brand called Me Too that does cute loafers. I wore Weejuns all thru high school–they were very in and I just loved them (I graduated in 1967–yes, Im THAT old!). I am sorry to learn this morning that they no longer come in AA, however, and I must have AA. Good luck to you in finding a style that fits–I have to have a high vamp. Gail D.
Trompe loeil, hmmph.In the new world order, ornamental (ie fake) zips, pockets, buttons and penny slots will be prohibited. Thats a warning to those who need one – you know who you are. WHERE is the link to the white ones? SO CUTE! I so love penny loafers. I wore nothing but penny loafers all through college. This has nothing to do with loafers, but I did just see an commercial for Target that mentioned theyll have fabrics and patterns by LIBERTY OF LONDON THIS SUMMER. Sorry for the allcaps. Its just too exciting. kristine, I saw the Target commercial for the first time tonight and thought, Who can I talk to about this to let them know how excited I am? Nobody IRL would understand, so I came here to see if Erin mentioned it. I was saying to my husband that fashions dont have a why and that holds true for penny loafers. He promptly laughs and says that they were for the trolley, which used to cost a penny. Lets have some Cake! Amazingly, that song was not on my ipod – it is now! Pennies for the trolley sounds right. The slots were practical, at least for emergency money. I go pretty far back but I couldnt remember what it was that cost just a penny. When I was in fourth grade my Mother relented and finally let me have my first non-oxford school shoes. They were wonderful, grey penny loafers. I didnt put pennies in the slots though. My mom had me put dimes in my shoes so Id have money to make a phone call in an emergency. I remember my babysitter telling me that at her school different coins meant different things. I dont remember which was which, but something like nickels for just looking and dimes for someone in mind and quarters for going steady. This was the mid fifties. $200 Michael Kors expensive? I saw $695 Manolo Blahnick loafers on Bergdorf Goodmans iPhone app. Now *thats* expensove! I have a pair of Nine West candy-apple red patent leather loafs in the same style as the Bass ones. They were maybe $45-55 at DWS. 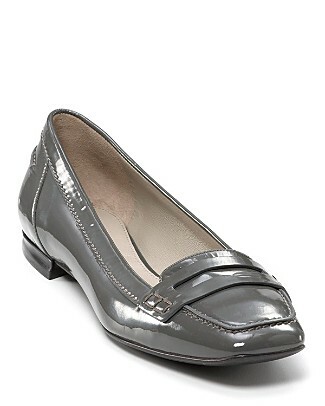 They are a nice pop with a lot of black/gray things.The low heel means I wear them all the time. Today I found low vamp black American Eagle penny loafers at Payless today, totally unexpected. They were only $6! I dont normally by shoes at Payless but, thanks to you, Ive wanted low vamp penny loafers for a long time and these are perfect.